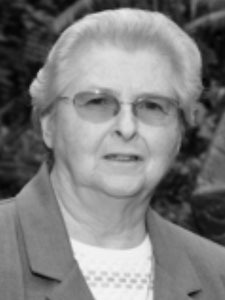 For Sister Antonio Heaphy, Provincial Leader, PBVM, leadership is not just about “being in charge” or “getting the task done.” It’s more about having an open spirit to accept people where they are… equipping and empowering them to be the best they can be. REALM: What are some of the lessons you’ve learned from the best leaders you have worked with in your ministries? AH: When I took my first position in religious education for an Archdiocesan Catholic School system, I had a superintendent who was a very “happy-go-lucky” guy. He said to me, “This is a new position, and no one has ever had this job before, so you are going to have to chart your own course.” I thought there was great wisdom in that, because then he wasn’t looking over my shoulder wondering if I was doing the right thing. REALM: What have you learned from less than stellar leaders? AH: As I go through life, I realize I have learned many things almost by osmosis. When I look back on why or what someone did (whether positive or negative), and decide for myself whether or not it’s something I want to do. I also learned from my mistakes or by things that happen that shouldn’t. For example, many religious communities had formation directors who, without intending to be, were very unkind. They didn’t put a human face on what they did; instead they were harsh in their dealing with people. That is not Christian, and hopefully it won’t continue again in religious life. Thankfully, the whole tenure of religious life has changed to be more positive rather than negative when reinforcing things. REALM: As you look back in your religious life or prior to, what is the first leadership experience that comes to mind? AH: It would probably have to be in my early days of teaching. When you are teaching you really are in a leadership position. You might not think about it at first, but when you are called to form people you are called to be in leadership. As a teacher, you have to take initiative and you have to do things that are going to work. I guess it comes down to relying and trusting in God that what you are doing is the right thing, or that it is something that is going to work for the good of the people you are trying to teach. A lot of people don’t look upon teachers as leaders, but they are. If you look around religious life today, most of those who are in leadership started out as elementary school teachers. REALM: There are many who were called to religious life because of the influence of a teacher. How old were you when you first started teaching? AH: I was about twenty years old and I had over fifty students in that first classroom. That is just the way things were done in those days. It was a brand new school. I came out from Ireland in 1958 when I was nineteen and had just one year at college. I started teaching in September and continued to go to college as well. It was the “heyday” of Catholic school teaching in San Antonio and our classes were huge. That is why you absolutely had to be a leader… if you couldn’t rely on your God-given abilities you were sunk. REALM: What was San Antonio like in the early 50s? AH: The drought had just broken, but San Antonio was still very hot. It was kind of wild in many respects, too. The people were very open and they wanted their kids to learn. Even though the economy was pretty good at the time, we were very poor because we only received a stipend of $35/month. Out of that we had to pay the cost of our schooling. The college helped us and the parish helped us some – each paying a third of our tuition. Sometimes food was a little scarce; however, we didn’t starve. Thankfully, we had good people in charge of our finances that helped us along and we were able to get there. As I look back, I think we made it through because we had good survival instincts. REALM: From that point to today, how has your leadership style evolved? That style of leadership tended to keep people in an adolescent mode of life. The better way to lead is through respecting the dignity of the person. If they have a problem that needs to be solved, it is our responsibility to help them figure out how to deal with it and become the best person they can be. If they are not willing to do that, it makes life very difficult. REALM: Once you were elected to leadership, what were you able to bring forth from previous leadership experiences and what did you need to add that you didn’t have? AH: Listening skills are so important, and I’ve always been able to focus and listen to people. I was blessed with that and it was something I brought from my previous experiences. The ministry I was in in the latter years was mostly dealing with adults, so I was pretty well aware of how adults function, so that helped me. There were lots of things I had to learn, of course; I learned by doing and by going to workshops and learning more about leadership styles that are appropriate for today’s society. REALM: You are the only full-time leader on your team, correct? How has that worked from a team perspective? AH: We are very much a team in everything we do, and that is very important. It can sometimes be annoying when we want to get something done and we have to wait for the team members to respond. But, you come out with a much richer product in the end because you have the shared wisdom of the group. REALM: How do you keep a cohesive focus when dealing with the recent transitions you have had on your team? AH: Different people have different ways of doing things, so we are learning each other’s leadership style. Because it is a difficult process to do internally, we decided to work with an outside facilitator. She was able to look at how we did things and help us see what we needed to do to move forward. REALM: What are some other ways that you try to call all members to leadership so that it is a shared model? AH: We continually try to remind them that there is a leader in every chair, and I think it is finally beginning to stick. People are being called to exercise their personal leadership in the choices they make, and we want them to feel like it is their decision/choice. However, we also want to be sure they do their discernment because it is not just about getting it done and over with or saying “yes or no” and that’s it. They are beginning to understand that we’re all in leadership in different ways… that we all have a personal leadership and if we don’t exercise that leadership then we are the losers.